Tel: 01858 555 365 / 07742176743. Judging commences: 10.00 am. All cattle to be on the showground by 8.30am. Entry Fees: Classes 1-9 & 11-16: £8.00 per class. Class 10 £4.00 per class. Classes 17 & 18 £1.00. Prizes: Classes 1-9 & 11-16: 1st £20 · 2nd £15 · 3rd £10 · Rosettes to 4th place. Class 10: 1st £10 · 2nd £5 · 3rd £5 · Rosettes to 4th place. Classes 17 & 18: 1st £8 · 2nd £5 · 3rd £3 · Rosettes to all. Please note: Classes may be merged or divided at the judge’s discretion. All cattle must be halter trained. Current Defra regulations do not require pre or post movement TB Tests. Class 10 Calf any breed born in 2019. To be led. Commercial Section Championship sponsored by Melton Mowbray Market Championship and Reserve Champion Rosette. Class 18 Young Handler (Open to all handlers over 12 years and under 16 years on the date of the show). The first placed animal over 2 years of age from each class will be entered into the Senior Championship, where the ST MARYS LIVESTOCK TRANSPORT PERPETUAL TROPHY will be awarded. Kindly sponsored by ST MARYS LIVESTOCK TRANSPORT. 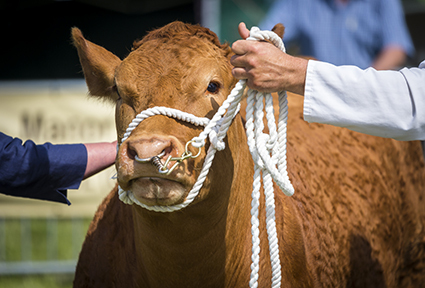 The first placed animal under 2 years of age from each class will be entered into the Junior Championship and will receive the HADDON BURDITT PERPETUAL TROPHY AND £25.00 FOR THE BEST JUNIOR BEEF ANIMAL. Kindly Sponsored by MRS LINDA BURDITT. The SUPREME CHAMPION will receive the JOSEPH MORRIS SHIELD FOR THE SUPREME CHAMPION. Kindly sponsored by JOSEPH MORRIS BUTCHERS LTD.
MANOR FARM FEEDS present a voucher for £50 to the Supreme Champion and £25.00 voucher to the Reserve Supreme Champion. 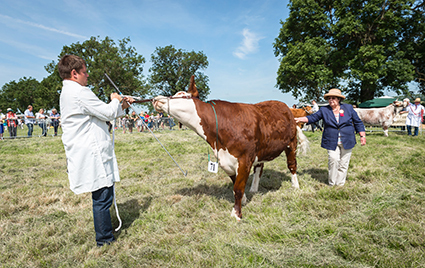 This year Cattle Exhibitors will have the opportunity to gain points by showing at the three shows of Kenilworth, Blaston and Blakesley. 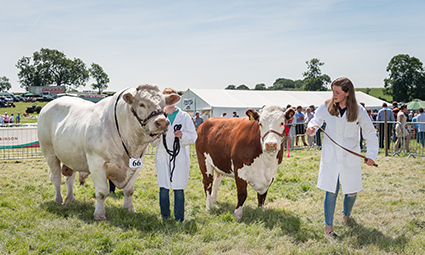 The points are gained by the number of animals exhibited and their class placements at each show, with the final results and prize giving taking place at the Blakesley Show on 3rd August 2019. In addition, each individual show will be awarding a Sash and Rosettes. As well as a generous cash prize, the overall winner will receive the Perpetual Rix Trophy, which is held for one year. Please see Postal Entry for more details.